Signed and dated at the lower center, in black ink, "VG" [superimposed monogram and dagger] / 1525". Watermark: Fragment (hindquarters) of a bear (close to Picard 1961-, vol. 15, pt. 2, no. 642 [Solothurn 1516]). 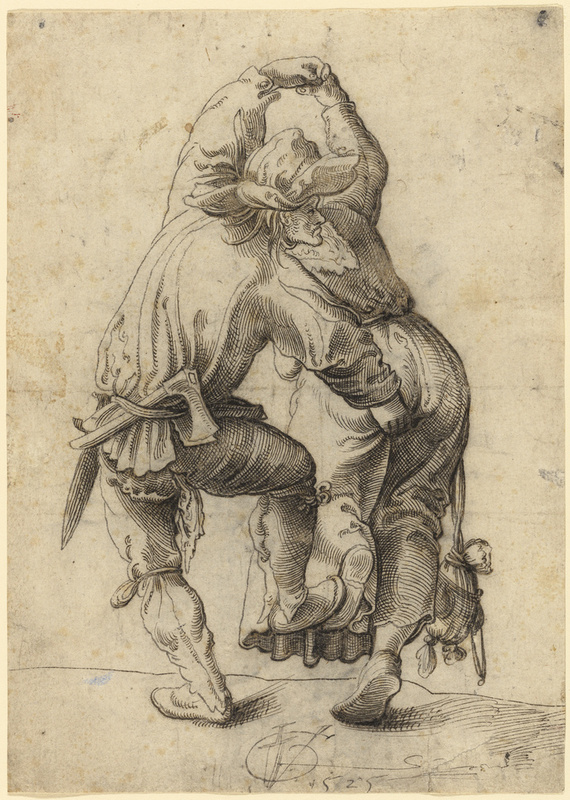 Creating an interlocking figure eight with their bodies, two dancing peasants fill the page, with the male peasant obscuring his partner's head and pinching her buttock. Urs Graf showed them dancing upon a featureless strip of ground prominently signed and dated with a dynamic insignia of his initials overlaid with the Swiss dagger. Their forms merge at the top and widen to form a pyramid that emphasizes their lower bodies, muscular legs, and wide feet, conveying a powerful sense of energy. Graf's swift, incisive penwork emphasizes the then-commonplace notion that peasants were symbols of the cycles of nature: earthy, fertile, full of vital strength--and often bawdy. 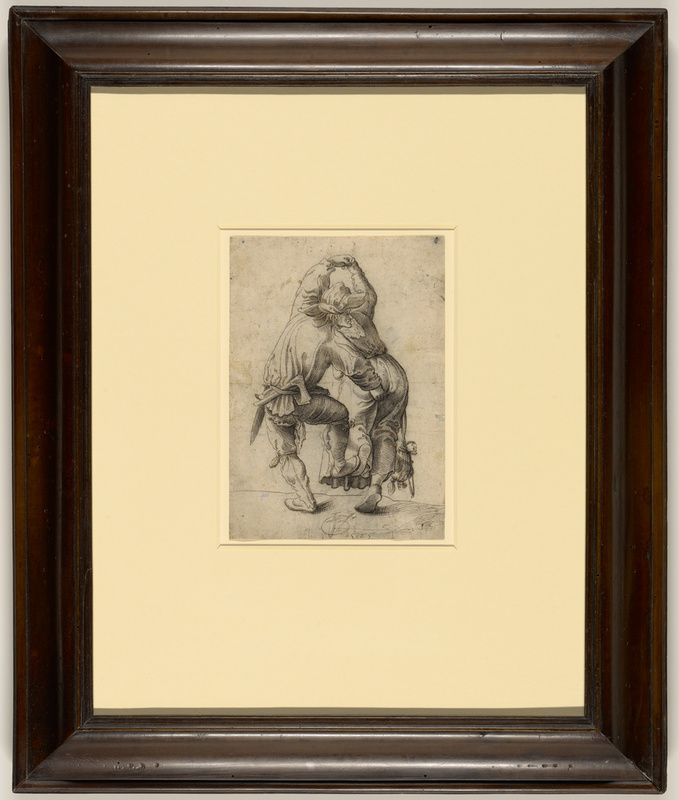 Someone extensively pricked the drawing with holes that follow the outline of the figures and the back has been rubbed with black chalk. Scholars once thought that this pricking indicated that such drawings had been made as designs for prints, with the image transferred onto another surface by rubbing chalk dust through the holes. They now believe that another draftsman pricked the work much later in order to copy it.